The closest date you can book this product is for 02.07.2019. See products available today and tomorrow. 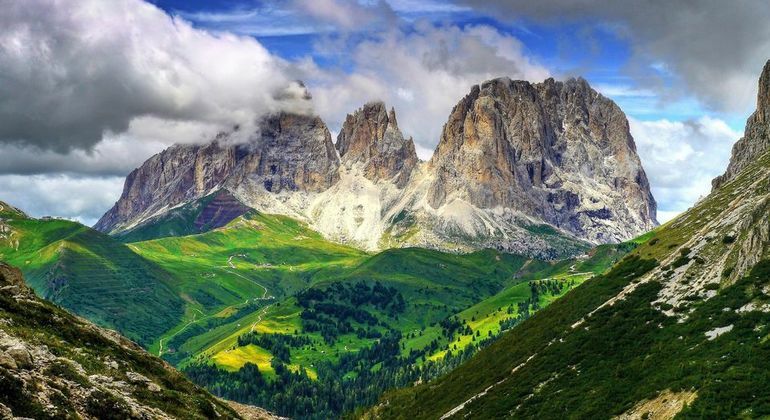 Start your tour in MALCESINE and climb aboard an air-conditioned coach in Malcesine, and then head north up the highway towards the Dolomites. 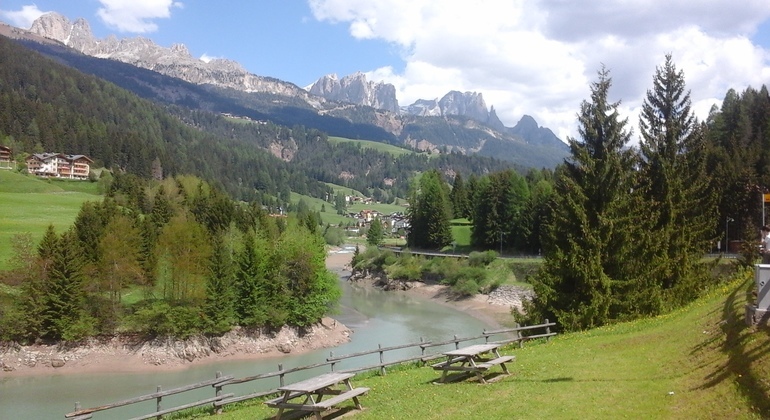 Stop for a morning break at the beginning of Fiemme Valley, entrance to the amazing mountain range. 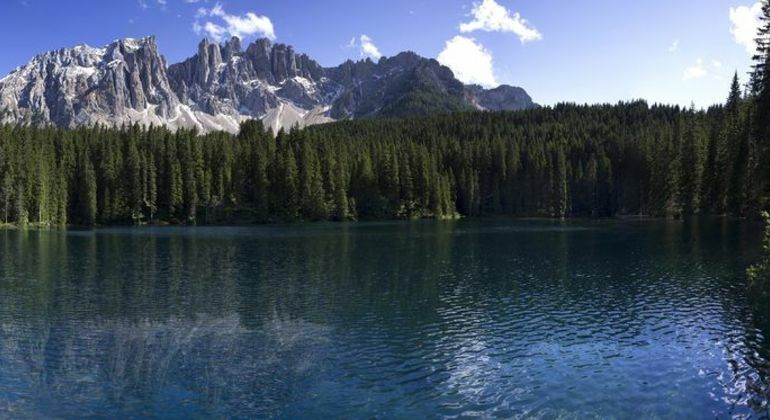 Take in the views of the mountains as you continue through a dramatic landscape of cliffs, forests, and meadows. 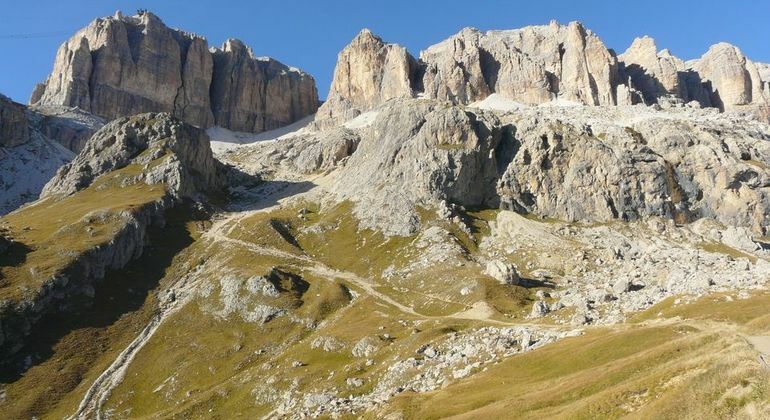 Reach an altitude of 2,240 meters above sea level at Pordoi Pass and get breathtaking views of the peaks of the Catinaccio, Marmolada and Sella mountains. 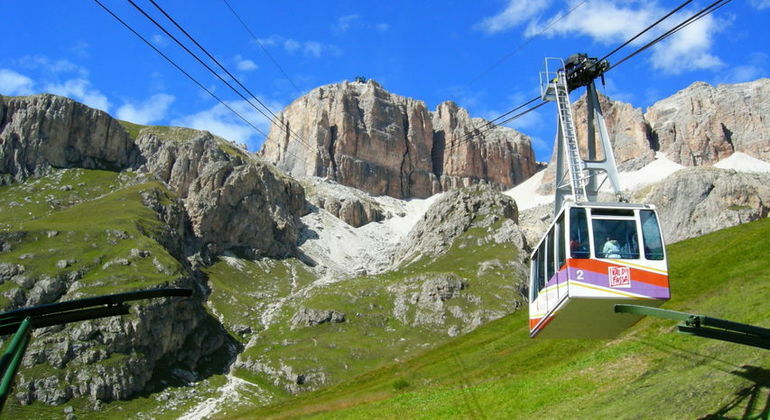 Enjoy a break for lunch and purchase an optional ticket from your guide for the cable-way ride up to the Sass Pordoi, named the terrace of Dolomites. 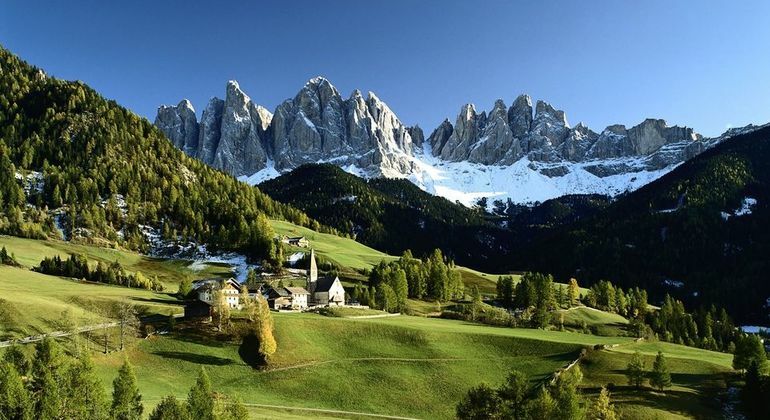 Arrive in just a few minutes and get stunning vistas from 2,950 meters above sea level. 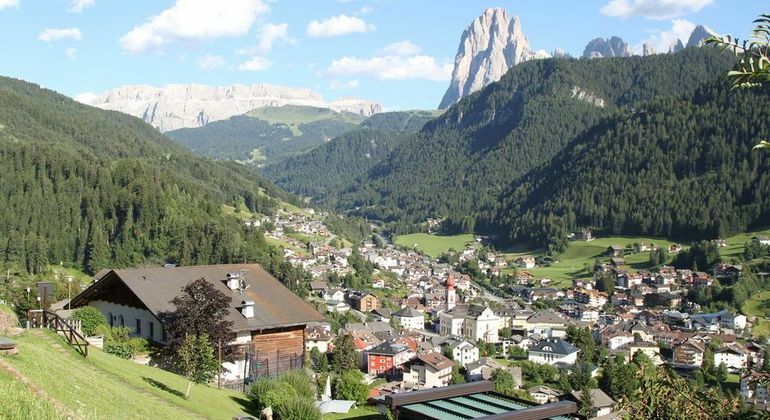 In the afternoon forwarding to Gardena Valley and visit the Alpine village of Ortisei and see some of its wood carvings and shops before the return drive to Lake Garda. The pick up will be at the BUS STATION, outside the entrance of info tourist office. The courier will call your name and cash Euro 36 per person (NO card accepted). Please pay attention and don't get on a public bus instead.